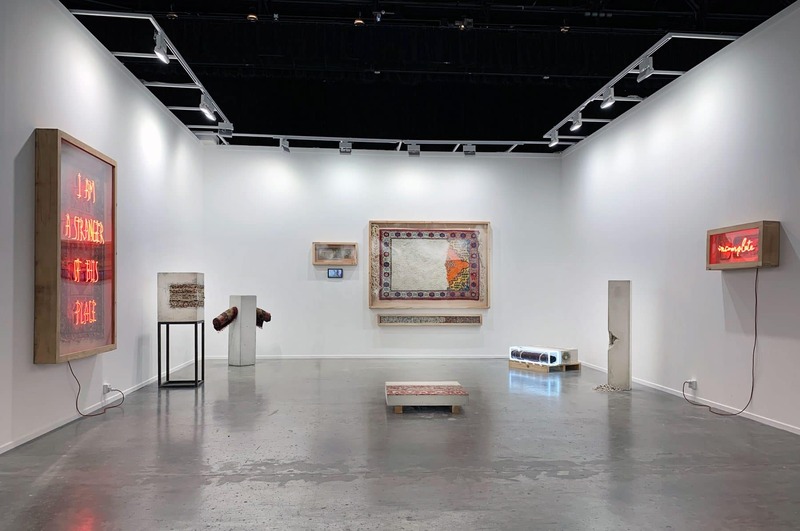 Taking its distinct identity from a one-of-a-kind line-up of 105 galleries from 48 countries, exhibited across its gallery halls and Residents section, Art Dubai aims to broaden the conversation on art outside of the traditional art centers. It does so by featuring galleries and artists presenting works from emerging art scenes, exhibited alongside, and matching the quality of, those from firmly established centers of the art world, making the fair a place of discovery from art from across the globe. Mirroring the cosmopolitanism and energy of its hometown Dubai, Art Dubai is a human-scale fair that acts as a meeting point for the international art world. A manifestation of this is the fair’s museum groups programme, which has served as a platform for discussions and networks that last in time and go beyond commercial transactions, and has seen the inception of international exhibitions and artistic projects that crystallize throughout the year. A leading international art fair, Art Dubai is also the preeminent place to interact with art from the Middle East, North Africa and South Asia through a number of high-profile galleries from across the region. In addition, the fair features a unique section, showcasing museum-quality Modern works from the MENASA region, alongside a yearly Modern Symposium. Acting as a digital extension of Art Dubai’s offering, the Art Dubai Portraits, a film series on artists that are connected to the fair through its programming or participating galleries, serve as a one-of-a-kind resource for curators and researchers working on the art from the region. Art Dubai further promotes regional art and artists by featuring a unique mix of programming and commissioned works, often in partnership with other regional institutions. Through its year-round educational initiatives such as the Global Art Forum, Campus Art Dubai and the Art Dubai Fellowship, Art Dubai is integral to the development of the local art scene and is active in building the theoretical framework for the local artistic talent showing at the fair. Art Dubai is sponsored by Julius Baer and Piaget. Madinat Jumeirah is home to the event. The Dubai Culture & Arts Authority (Dubai Culture) is a strategic partner of Art Dubai and supports the fair’s year-round education programme. Parking for Art Dubai is at the nearby Dubai Police Academy, with continuous shuttles to the fair. Please note that at peak times there will be no valet parking available at Madinat Jumeirah, and we strongly advise coming by taxi for the evening events. The nearest metro station to Art Dubai is Mall of the Emirates, which is less than a 10 minute taxi ride from Madinat Jumeirah.